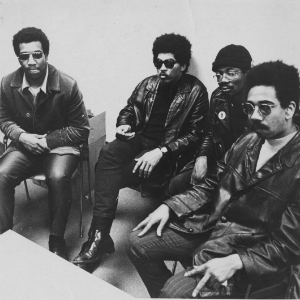 From left, Fred Hampton, Don Cox, Masai Hewitt and Bobby Rush. Photo courtesy of the Illinois Chapter of the Black Panther Party. 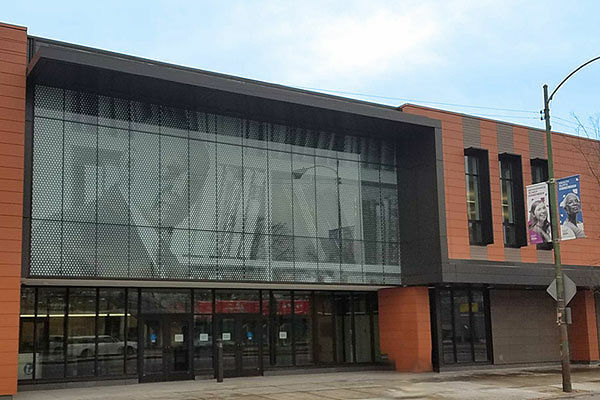 All Power to the People, an exhibit celebrating the legacy of the Illinois Chapter of the Black Panther Party, runs February 16 to December 31 at Carter G. Woodson Regional Library in the Harsh Research Collection gallery. This exhibit documents the leaders within the Illinois Chapter of the Black Panther Party, their survival programs and Chicago partnerships, and examines how the organization was viewed by both the black and white press. While the exhibit briefly discusses the National Black Panther Party, it's goal is to bring a greater visibility to the work of the local Illinois chapter. The exhibit features archival materials from the Vivian G. Harsh Research Collection of Afro-American History and Literature and items on loan from individual members of the Illinois Chapter of the Black Panther Party. Many of these items have never before been available for public viewing. The exhibit includes a combination of photographs, newspapers, flyers, manuscripts, articles and artifacts. Join us for Activism & Outreach: 50 Years of the Illinois Chapter of the Black Panther Party, the exhibit's opening program, reception and tour, at 1 p.m. Saturday, February 16 in Woodson Regional Library auditorium. Additional events will occur throughout 2019.